Creating this lampshade was an act of pure self-indulgence. 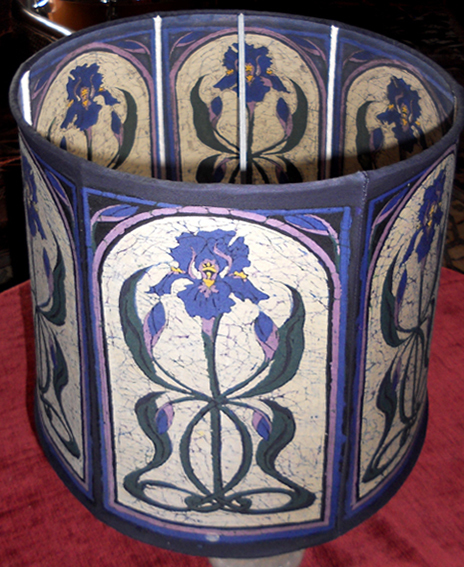 I love art nouveau with its sinuous and whiplash curves and I love irises, their petals follow those fluid curves. 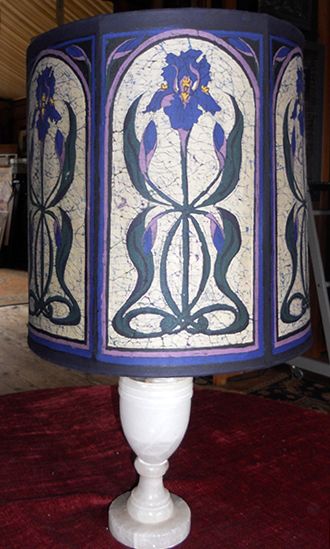 Repeating the same design on all six panels of this large lampshade was painstaking work but all worth it for the result. What I was after was a stained glass effect to give that 'Tiffany lamp' look. I really don't want to sell it, as it took me over three weeks to make. I love it and it looks spectacular as a statement piece in the Gallery.